The first year curriculum includes six required one-semester, four-credit courses: Criminal Law, Constitutional Law I, Civil Procedure, Contracts, Property, and Torts. Each student takes three of these courses in the fall and three in the spring. Students also take a one-credit Legal Research and Writing course in both the fall and spring. Finally, first-year students each take one elective class in the spring semester. In the fall semester, each student takes one of his or her four-credit courses in a small section (25-30 students). The small-section class is designed to promote greater classroom discussion, enhance student-faculty interaction inside and outside the classroom, and encourage innovative instructional methods. In addition, each small-section class includes a writing component that enables students to receive from their professors feedback and instruction concerning legal writing. This writing component carries an addition credit, making the small-section course a five-credit course. The small group program represents a major commitment by the Law School of faculty resources to the core instructional program and reflects the importance the Law School places on classroom instruction. 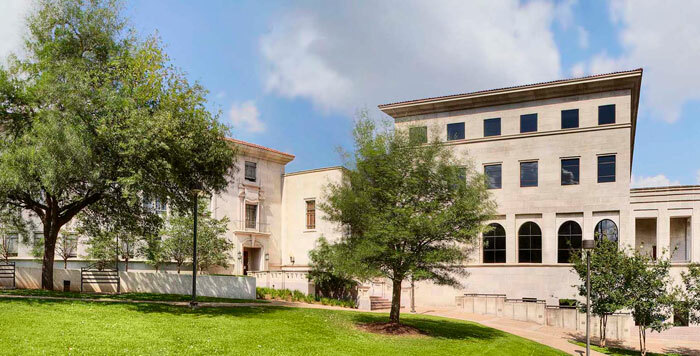 Want more info about The University of Texas School of Law? Get free advice from education experts and Noodle community members.